Dr. Najjar has been practicing Optometry in Colorado for over 18 years. He founded Pro Vision Eyecare in order to provide Friendly, Comprehensive General and Specialty Eye Care to his patients. Dr. Najjar received his Bachelors in Biology from Eastern Michigan University. His Bachelors of Science in Optometry from New England College of Optometry, and his Doctor of Optometry from New England College of Optometry in Boston, Massachussets. He also has an Associates Degree in Architecture with Honors from the New England Institute of Technology. Joslin Diabetes Center, South Boston Neighborhood Health Center, East Boston Neighborhood Health Center, and Veterans Administration Boston and New England Eye. He is certified in pre and post op Lasik co-management, certified in Corneal Refractive Therapy (Orthokeratology), and Low Vision. He is also highly skilled in all aspects of vision and medical eye care including glaucoma, cataract pre/post op care, laser pre/post op care, soft and RGP contact lenses including hard to fit multifocals. Computer vision syndrome, low vision (rehabilitating the blind), corneal refractive therapy (corneal re-shaping while you sleep to avoid wearing contacts or glasses during the day). He has the latest eye instruments including a retinal camera, visual field (octupus 300), and one of few in the country with a specialty corneal topographer for specialty contact lens fits and corneal refractive therapy. He treat Eye injuries and internal and external eye infections, allergies, and dry eye. He does surgical procedures to remove foreign bodies from the eye and punctal plugs to treat mild to severe dry eye. He also co manages with area Ophthalmologists in the care of pre and post op patients that had cataract and laser eye surgeries. 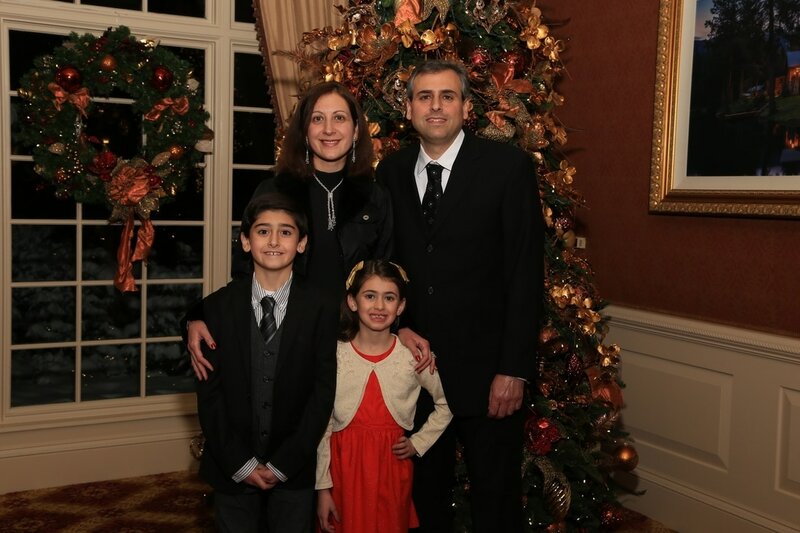 Dr. Eddy Najjar is married to Dr. Tania Najjar DMD. They have two children, and a pointer.. His hobbies include attending dog shows, biking, jogging, and cooking. Our office manager is Dr. Tania Najjar DMD. Yes, Tania has a dental degree from Boston University. She decided to switch careers and work full time as the office manger at Pro Vision Eyecare. She is the person who will greet you, check your insurance benefits and answer questions you may have. She is knowledgeable in all areas of insurance verification and will explain things in a manner that is helpful and informational. She is married to Dr. Eddy Najjar , has a son, a daughter and a pointer. Her hobbies include cooking, jogging, and spending time with the family.